Remember when smoothies were made of strawberries and frozen yoghurt? It was like we were trying to trick ourselves into eating fresh fruit by making it taste like ice cream. Haha -why did we feel we needed to be tricked into eating strawberries?! And how was that smoothie any different from ice cream? I remember (more than 10 years ago) a coworker making a big batch of pre-service smoothies for the kitchen staff. We were all so grateful (there is nothing worse than starting restaurant service on an empty stomach, and it happened all the time) until he added powdered greens and it all turned swamp-coloured. There were lots of jokes about it tasting like the underside of a lawnmower, teases about how he should maybe be working as a hostess, not a cook, and all kinds of other mature and thoughtful reactions. We were cooks who were used to making delicious, innovative but still comfortable and texturally pleasing food. 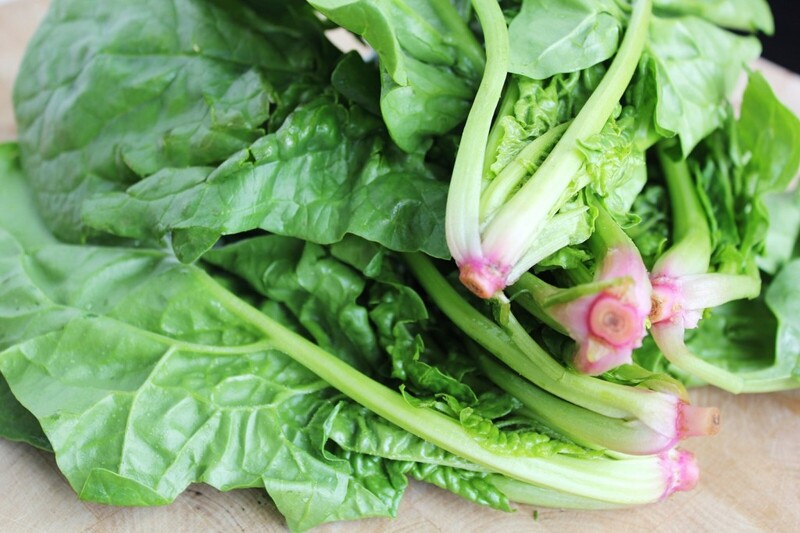 Greens were garnishes for savory dishes not co-habitants of fruit smoothies, especially not the weird powdered greens. I was such a jerk. Now, the only decadence found in smoothies at my place is the fruit, the very thing we were coaxing down with glorified ice cream in the early 2000s. The fruit is the flavour mask for the greens and other superfoods that our body loves but that are sometimes challenging to include in our everyday meals. Fresh fruit is good for you, no question about it, but we try to include it only in modest amounts, especially when fighting cancer, because of its sugar content. 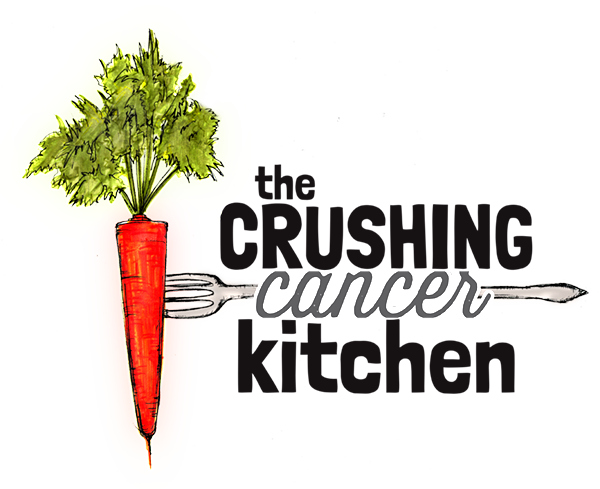 Sugar makes cancer cells very happy, while low glycemic, nutrient-rich greens generally make them depressed and suicidal, so more greens and less fruit is what we’re aiming for. 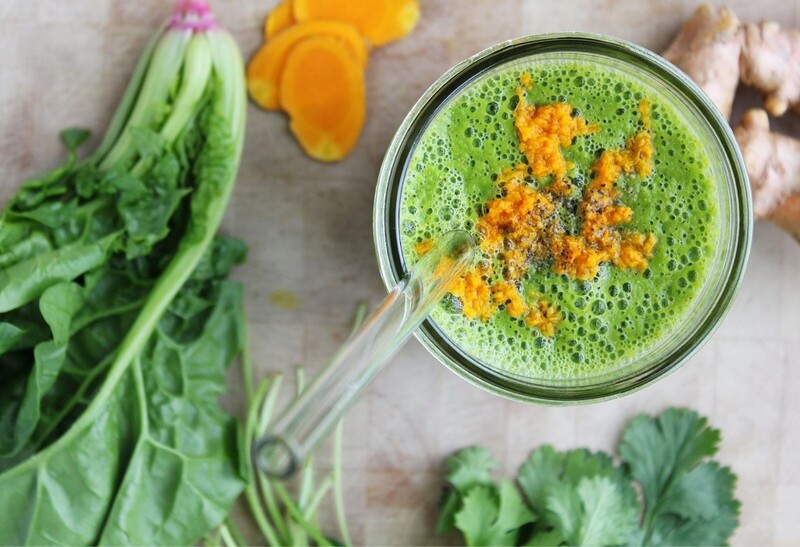 A green smoothie in the morning guarantees us a solid start to the day, not so that we can have French fries for lunch, but more to give us a nudge in a healthy direction at the beginning of the day. 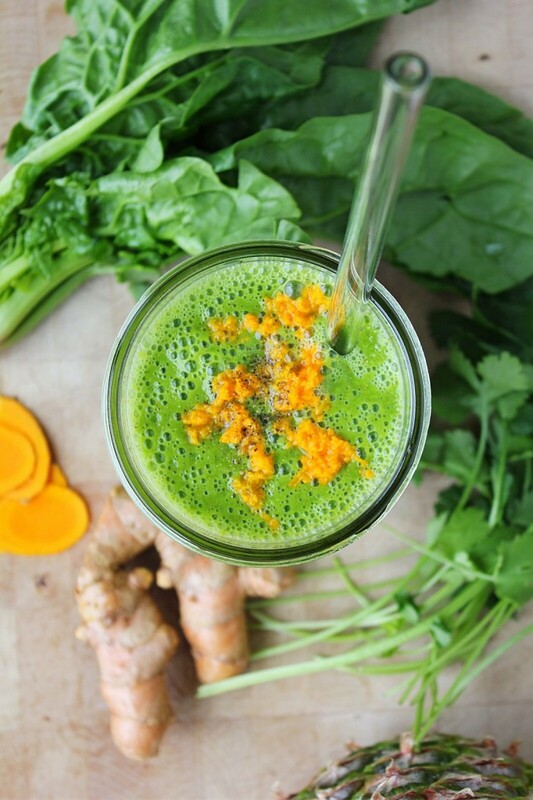 I wrote more here about the difference between juicing and blending (green juice vs. green smoothie) if you want to have a look, but in this post we will be focusing on blending. 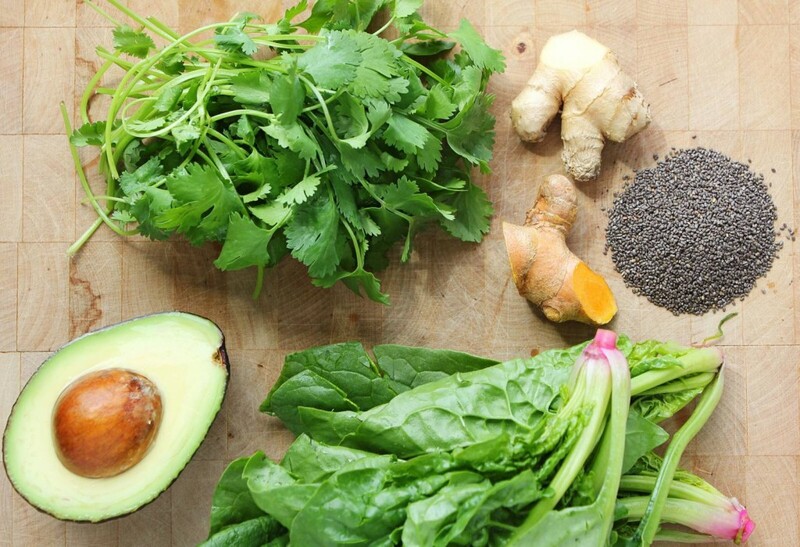 A high power blender is not totally necessary for making a good smoothie, but it sure helps when it comes to the green smoothie. Not only does it make it a million times smoother and less grass clippings-y, but it also cracks through blackberry/raspberry/flax seeds to get the most out of their fats and (less importantly?) make them less likely to stick in your teeth for the rest of the day. You still have to remember to chew though, even if you’re just phantom chewing, to optimize digestion. I really didn’t think I needed a $600+ blender until I got one (as a work-related gift), and now I can’t imagine living without it, I use it every day. None of these recipes would be the same without it. I thought I broke it once when it burned out from overuse (I later learned it shuts itself off for 45 minutes to prevent it from overheating) and I burst into tears and lay down on my (dirty) kitchen floor. When my husband came home and turned it on, it worked again, and I felt a bit silly and realized that maybe I also needed an anti-burnout mechanism. 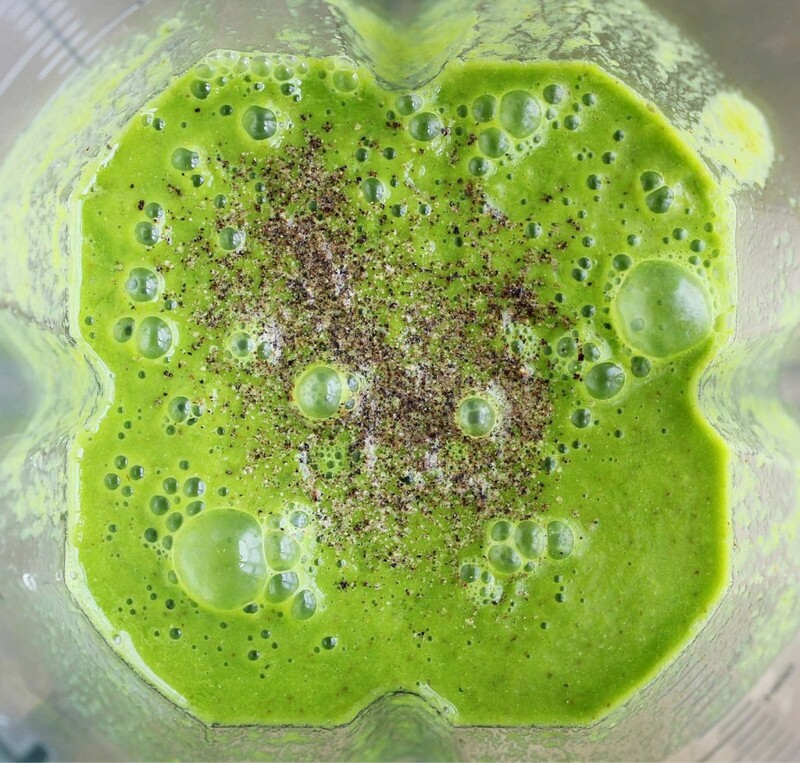 In this recipe, I have used soft greens (spinach) and soft-ish fruit (pineapple), so it should blend up relatively smoothly in any blender. 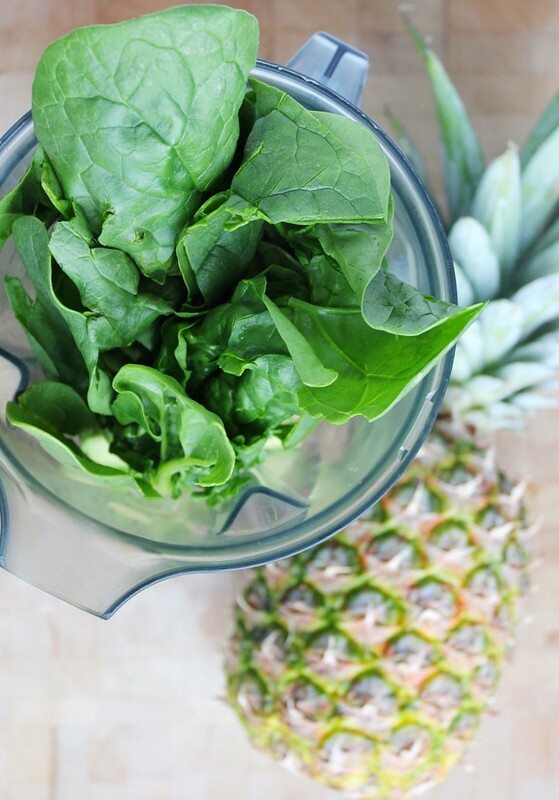 I like pineapple as a treat in my green smoothies because it has a clean sweetness and acidity that often speaks so loudly that you are less likely to notice the greens sneaking in behind it. 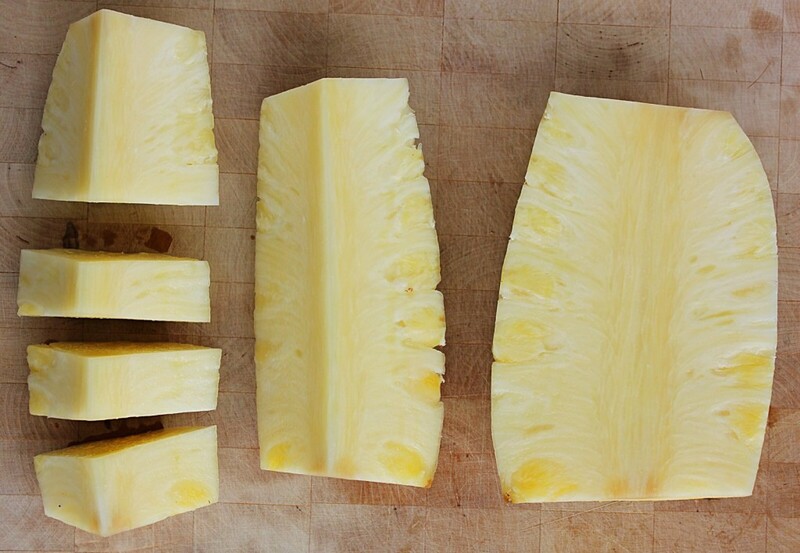 Include the core and you also get a hit of bromelain, an enzyme that is great for colon health. Feel free to sub it out for delicious seasonal fruit in your area of the world though, strawberries are almost here where I live and I can hardly wait. The vitamin C in the fruit also helps you to absorb the iron in the greens and the fresher the fruit (hello local fruit) the more vitamin C.
Now what about the fat-soluble vitamins? This might not be what you’re thinking to your bleary-eyed self first thing in the morning, but certain vitamins require some form of fat in order to be properly absorbed. The odds are good that with most meals you are eating some form of fat, but it’s not always guaranteed in a smoothie. Enter avocado (it also adds a smooth, richness that works extremely well) and chia seeds (along with a bit more fiber and protein too). While we’re at it, some ginger (especially if you’re feeling nauseous, but also for its anti-inflammatory and immune-boosting powers), some fresh turmeric (anti-inflammatory superstar), black pepper (makes the turmeric 2000% more bio-available) (2000% -for real!!!!!) (turmeric also needs fat for optimal absorption but we took care of that above), and cilantro (for it’s detoxifying powers) (it also tastes pretty good with pineapple). This smoothie isn’t supposed to be sweet like dessert, it is supposed to be healthy, clean and a good way to start your day. If the idea of this smoothie gives you the creeps and you are worried about not liking it because it is sounds hideous, try making it the way that I have in this recipe and if you’re not sold, add a little more fruit until it tastes good to you, because it should taste good. 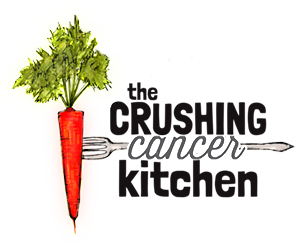 Your palate will adjust and eventually you’ll need less fruit, which will lower its glycemic index, resulting in happy healthy cells and pissed off cancer cells, the ultimate goal. Oh my gosh, thank you Bebe! Yes, 3 cups of water or coconut water. I’ll fix the recipe, thanks for noticing! I really appreciate your work, and I’m really looking forward to trying this smoothie. However, I’d first like to know if a certain amount of liquid – water – should be included in the recipe. Welcome back :) I update every Monday at the moment. If you sign up for the mailing list, you’ll eventually get notice of new content too. Hey, Dana, just stumbled on this website from Facebook …. The scrolling through the recipe found YOU! Great site, I love that I know such a famous, talented, over the top achiever! Hi Amanda! There are definitely benefits to cooking it (better calcium absorption, less oxalic acid) or leaving it raw (more digestive enzymes, lots more vitamin C). For myself, I prefer to leave the greens raw but switch them up every day (kale, swiss chard, dandelions) and you could do the same thing with cooked and raw (cooked one day, raw the next). Some people don’t respond well to oxalic acid, which I totally get, so for those people, I would stick to cooked greens and maybe use spinach and Swiss chard less frequently. Hi Dana! Wondering if it is a good idea to quickly steam the spinach first? I know, isn’t it cool? It’s so important to remember the black pepper in recipes with turmeric. Enjoy your smoothie this morning! This sounds soooooo yummy. I’m not even hungry right now but am thinking about tomorrow…! That’s crazy news about black pepper!!! !